New York, Oct 18, 2018 (SPS)-The Western Sahara conflict is a decolonization issue between the Frente POLISARIO and Morocco, affirmed Tuesday in New York Algeria’s Permanent Representative to the United Nations, Ambassador Sabri Boukadoum. “Western Sahara is a decolonization issue between the Frente POLISARIO and the Kingdom of Morocco on a territory on the list of non-autonomous territories, pending the implementation of the historic resolution 1514 of the General Assembly,” which establishes the right of colonized peoples to self-determination and independence,” stated Ambassador Boukadoum in his speech at the fourth United Nations Decolonization Committee. 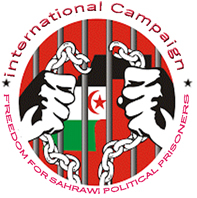 In a vibrant plea for the self-determination of the Sahrawi people, Boukadoum recalled the legal basis of this conflict, stressing that the advisory opinion delivered by the International Court of Justice (ICJ) in 1975 had unequivocally confirmed that it was up to the Sahrawi people to exercise their right to self-determination via a free and fair referendum. In this regard, Boukadoum recalled that the only visit mission to Western Sahara in 1975 by the UN Decolonization Committee had stressed the need for measures to allow the Sahrawi people decide their future. “All UN resolutions, whether those of the General Assembly or the Security Council, have regularly reaffirmed the legal nature of the conflict and the validity of the self-determination principle,” stated Boukadoum before the committee. The Security Council resolution 2414 extending the Minurso mandate for six months has once again confirmed the validity of this principle, he continued. Besides, the African Union (AU) remains constantly committed to resolving this conflict, notably through its supreme mechanism, the Heads of State and Government under a self-determination referendum. The Pan-African Organization also decided to strengthen the mandate of its Special Envoy for Western Sahara, former President Chissano, and set up a troika as a monitoring mechanism to back AU’s efforts and the UN process, Boukadoum affirmed. The Ambassador also referred to the “clear and indisputable” decision of the Court of Justice of the European Union (CJEU), which affirmed that the association and liberalization agreements sealed between the EU and Morocco were not applicable to Western Sahara because the Sahrawi territories are not part of Morocco. "Hostility has never been Algeria's preferred choice and acting in an open and transparent manner, in accordance with the principles enshrined in the United Nations doctrine and accepted by all, should not be considered a defect as or as hostility,” said Boukadoum. We cannot turn our backs on the principle of self-determination because it would mean turning our backs on our own history, said Boukadoum, recalling the "difficult and costly struggle" of the Algerian people to achieve independence.